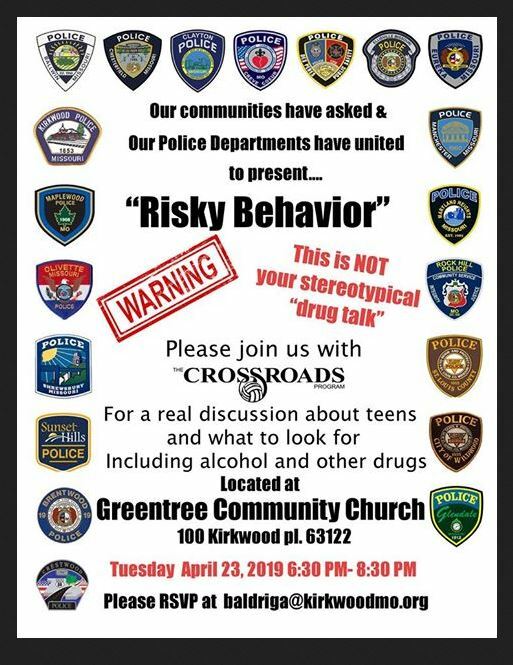 We are excited to announce our first ever partnership with The Crossroads Program as they bring this powerful message to our great community. All of the highlighted Police Departments will have representatives present as we ALL combat drug addiction within our communities. There will much more information on this event in the weeks to come, but please save the date. All are welcome and you will not be disappointed!! Please share as you see fit.